Our trousers are user friendly and versatile. 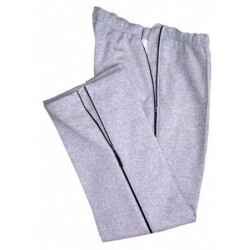 They facilitate easy dressing and ease of access for toileting. Our standard William Gents Side Opening Trousers are very popular, a ladies version is also available - please contact us for details of all the options available. 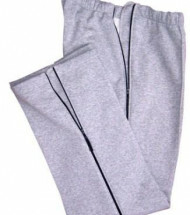 These side opening trousers were requested by a wheelchair user who hoist transfered. His carers had to roll him from side to side to put on conventional trousers. This was too stressful for both him and those responsible for his care. He asked for a pair of trousers which could be opened out as fla..